My kids love to get involved in the cooking. Usually they see my cooking, draw up a stool and join in. Yesterday we had a rare afternoon at home. The summer has been full on outdoor fun, so being torrential rain the kids came up with a plan “Mummy lets make biscuits”. Normally I would be pretty up for this plan, but yesterday, unusually, I was feeling the lure of the sofa… However, I am a huge believer in getting children cooking young and as they had intiated it this time, I really couldn’t refuse. A quick flick through some reciipes for inspiration and we decided on adapting a River Cottage recipe. This was a total cop-out on my behalf as it was so quick to make so I still got some sofa time, curled up with a freshly baked cookie and a cuppa. Extra bonus is our snack tin is topped up for at least a day (these dollops of goodness are going fast). I adapted the recipe using prunes to sweeten, a banana to replace some peanut butter and omitting the raisins on request. It ended up being a great way to use up the claggy bit of peanut butter at the end of the pot. Happy kids, freshly healthy cookies, a huge train track and mummy got 15 minutes of peace, which is what weekends are all about. 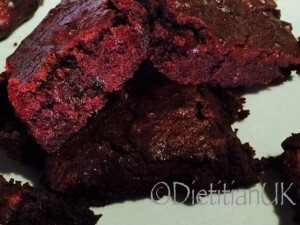 Super fast, healthy, squidgy cookie recipe. Measure out the peanut butter. 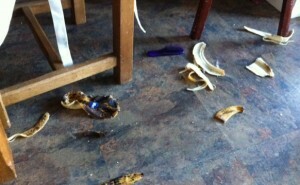 Chop the prunes finely and break the banana into chunks. Mix together, then add the egg and mix. Now add the oats and bicarb and mix. 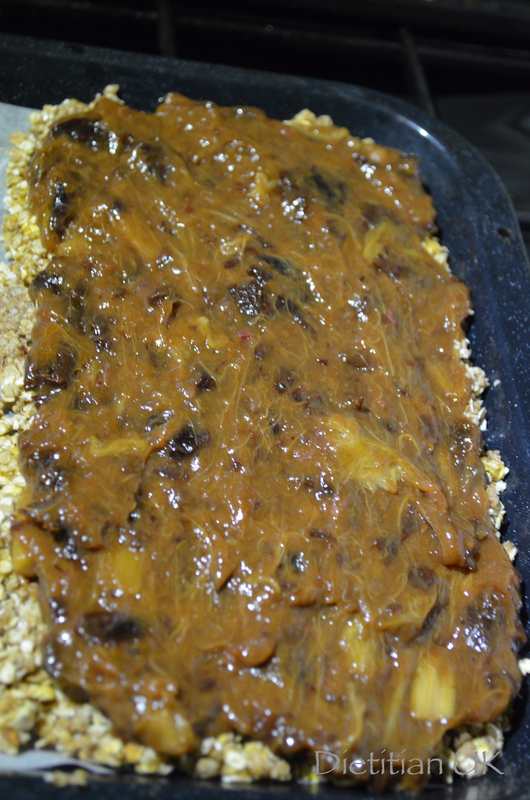 The mixture will be very sticky, place spoonfuls onto a greased baking tray. Flatten slightly with the top of a spoon. 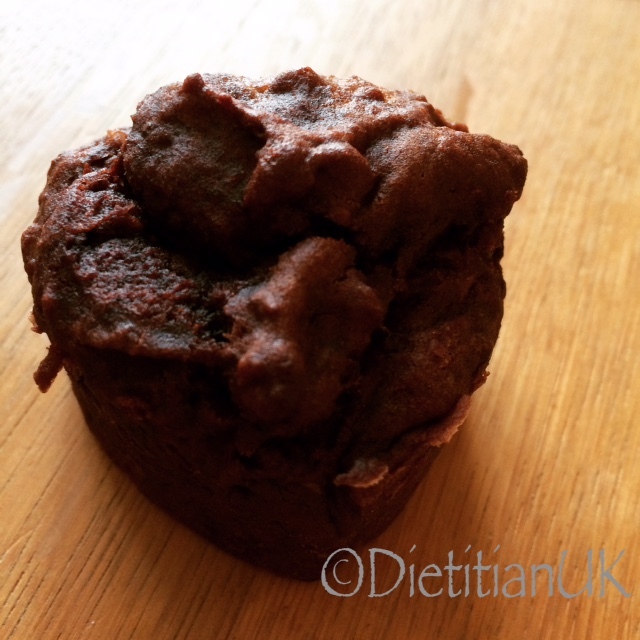 Peanut butter and chocolate healthy muffins! 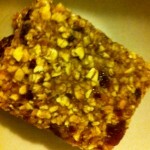 A lovely Pilates client turned up with a couple of healthy muffins for me the other day. Now that’s one way to make me go easy on you in class 😉 Laurie, thankyou! 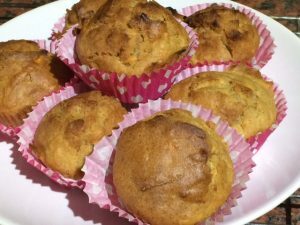 Peanut butter is one ingredient I’ve learnt is good in cookies and smoothies… so why “nut” muffins?! (I know funny aren’t I). 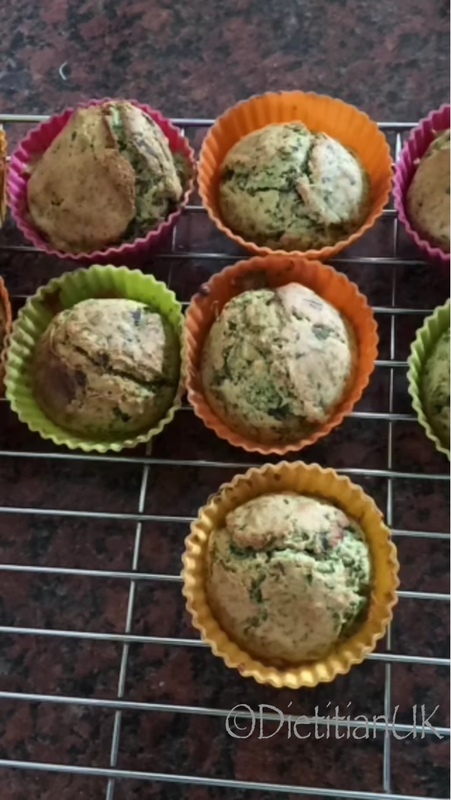 These muffins were so delicious that I grabbed hold of the recipe and then I decided to give it a go myself, with a few changes as I rarely manage to actually follow a recipe properly and I also had no bananas! Peanut butter and chocolate HEALTHY muffins. Yes really! Pre cook the apple (I have a stock I keep in my freezer). Measure out all the ingredients and mix well. I left my stand mixer going for 5 minutes. Grease a muffin tin or use silicone cake cases. 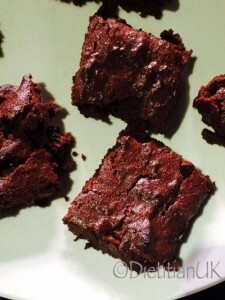 Place the mixture into the cake cases and bake for 15-20 minutes. You can substitute agave, honey (2-3tbsp) or Stevia (1tsp) for the Sukrin Gold. Total madness this weekend. I planned to do a vlog with Miss K. Just as we were ready to go J-boy woke from his “not long enough but I’m teething” nap. Not impressed. I’ve learnt that cooking with 2 kids is much harder than cooking with 1. You need 6 hands. But he joined us anyway. 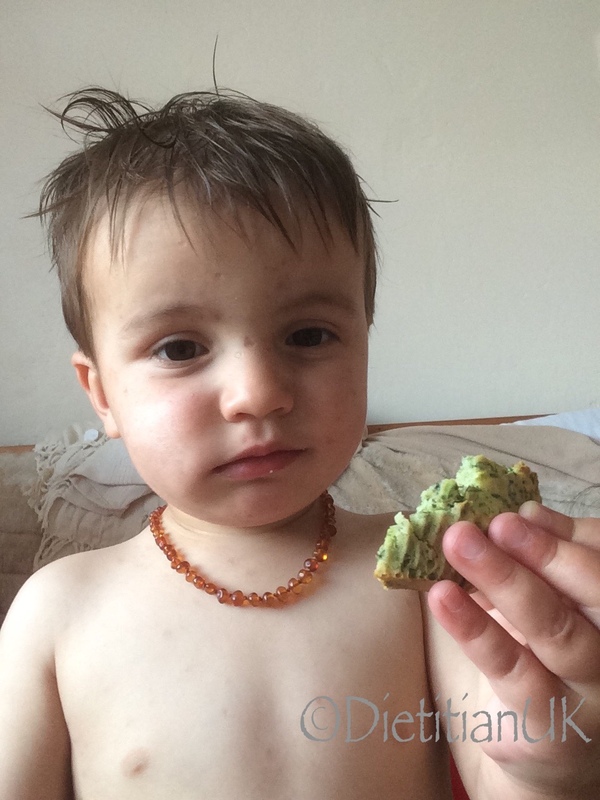 He likes cooking with mummy…. because it means he gets to stick his fingers in things, make a mess and eat! If you don’t involve your kids in the cooking I’d really encourage you to try it out. It’s not always the quickest, tidiest or least stressful way to do things, but Miss K now has a lot of basic cooking skills under her belt and it’s a fun activity for her. Cottage cheese. I must admit I’ve never been a huge fan on it, the texture is not to my liking and it isn’t quite creamy or cheesy enough. However my children love it, I am pretty sure they would eat a whole pot between them. Where it comes into it’s own for me is in cooking. It works well in pasta dishes and can be used to make a super fast lasagne sauce. Post on that one to come. So in this post we used cottage cheese in savoury scones. These were a big hit for lunches this week. Rub the butter into the flour, to make fine breadcrumbs. Now add the baking power and cottage cheese and broccoli, mix. Slowly add the water and mix to a dough. Roll out on a floured surface and cut into scones, about 1/4 inch thick. 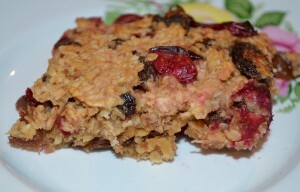 Healthy Cranberry and Orange Flapjack for a Flapjack-a-holic. Christmas has come and gone but I’ve still got cranberries to use up. I’ll be honest, I’m a flapjack-a-holic, so even after making the cranberry muffins I had to play around and make up some flapjacks too. Life with out flapjack is not worth thinking about. 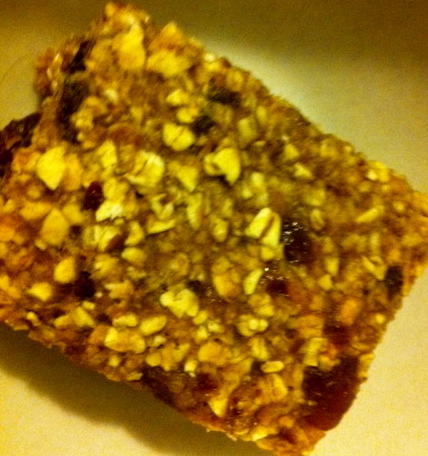 However my flapjack has to be a healthier version, gone is the treacle, syrup and lashings of butter…. instead I’ve increased the fruit, got rid of the sugar and used honey and reduced the butter. The result is a tangy, moreish morsel that goes perfectly with a decent cuppa. Heat the oven to Gas Mark 5. Mix the oats and raisins together. Place the honey, butter, cranberries and orange juice in a microwavable container. Heat for 3 minutes, stopping to stir it every minute. When it is finished remove from the microwave and crush the cranberries in the container using a fork or the back of a spoon. 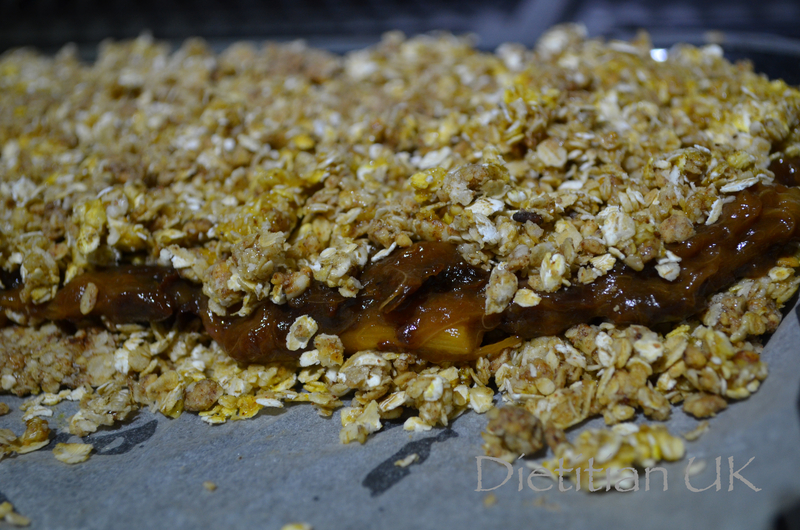 Spoon into a lined, greased flapjack tray and bake for 20 minutes. I cover mine with greaseproof paper for the first 10 minutes to prevent the raisins from burning. Flapjacks go down a storm in our house, I’m wheat free so they fill a much needed gap in my mouth. 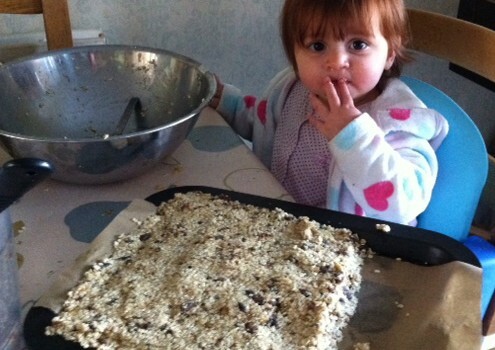 Now it seem little Kezia is a bit of a flapjack lover. In fact, as soon as she spies the tin I keep them in I get a pointy finger and a sign for “Food Now Mummy”. Cheeky monkey she certainly is. 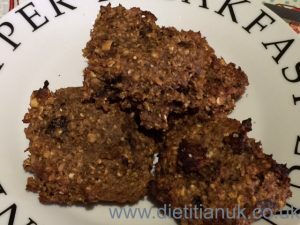 My usual banana flapjacks use only a small amount of marg, sugar and honey, however with a hungry 1 year old and feeling inspired by a certain brand of raw food bars I decided to try something different. 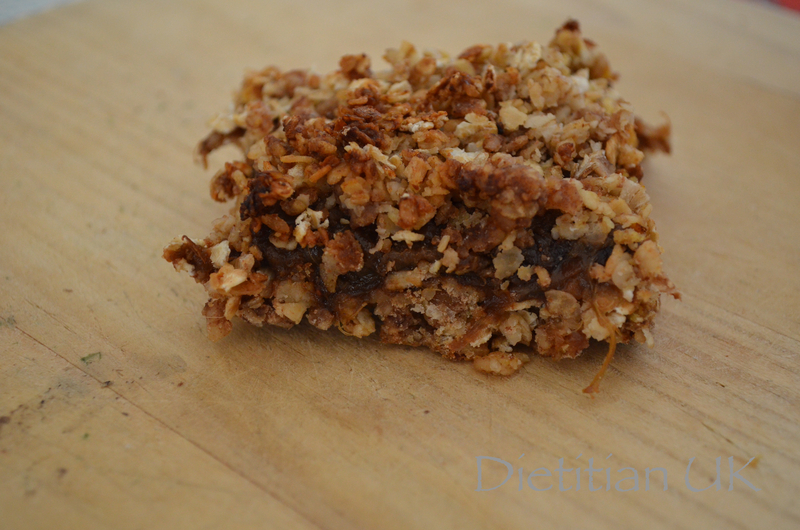 The results are not quite your usual flapjack (due to the distinct lack of sugar, syrup and butter!) but they make a great healthy snack for big and little people and are set to become a regular in our house already. In fact the little one even enjoyed helping me make it. 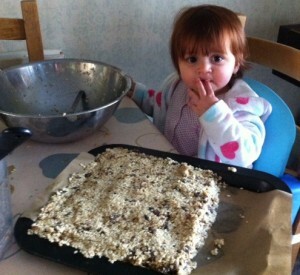 Well when I say she helped, I mean she ate half of the raisins out of the bowl, stuck her fingers in the banana, stirred the oats around and made holes in the mixture once it had been smoothed into the tray. So much fun! Mix it all together, put into a greased and lined tray and bake at Gas Mark 5 for about 35-40 mins. Slice it up whilst it is warm and leave to cool (if it lasts that long! ).